Low poly table. Suitable for games. The table top is made of glass with a metal frame and a center. 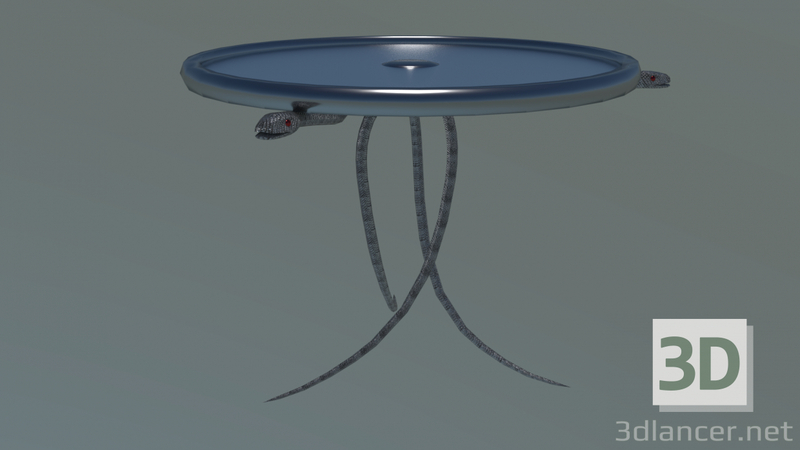 The legs of the table are three snakes intertwined with each other (the tabletop lies on the snakes only with metal parts - both on the edge and in the center, the glass part does not touch them). For those who do not like snakes, there is also an option with other legs (similar to tentacles). In addition, the Blender file contains 1 pedal-snake and 1 pedal-tentacle, if you want to make 3 or 5 on your own, etc.